In the north of Portugal, you can find one of the most emblematic cities in the whole country: Porto. As Porto is such a historic city, there are several monuments that are worth a visit. This guide will show you what are the most important monuments and where they are so you do not miss any of the most historic sites in the city. Porto is by the sea, in the north of Portugal. 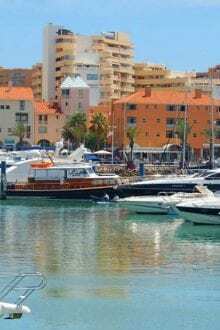 The city combines the best of both worlds – an emblematic historical centre and several seafront sites worth visiting. 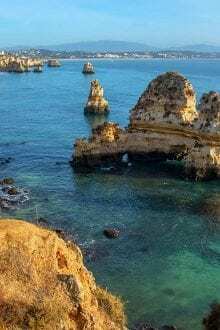 If you’re planning a trip to Portugal, make sure you subscribe to our FREE newsletter so you can get all the best tips and advice every week. There are monuments in Porto that are not to be missed. There are historic ones and there are ones to visit just because they are beautiful. Some are really old and some are more contemporary. So here is our list of the top 10 monuments you should see in Porto. 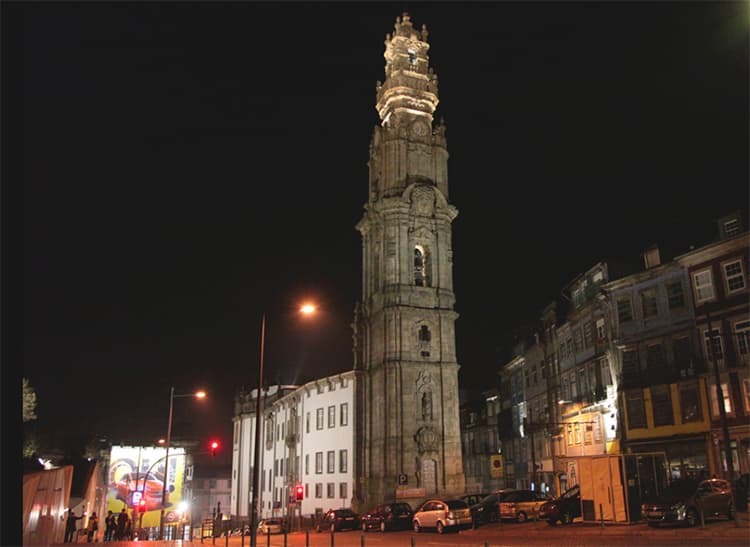 Church and Tower of Clerics is one of the most important monuments in Porto and has a spectacular view over the city. Try going up to the tower at night, you will love it! Tickets cost €5 and also include the entrance to the Museum. Address: Rua de São Filipe de Nery. 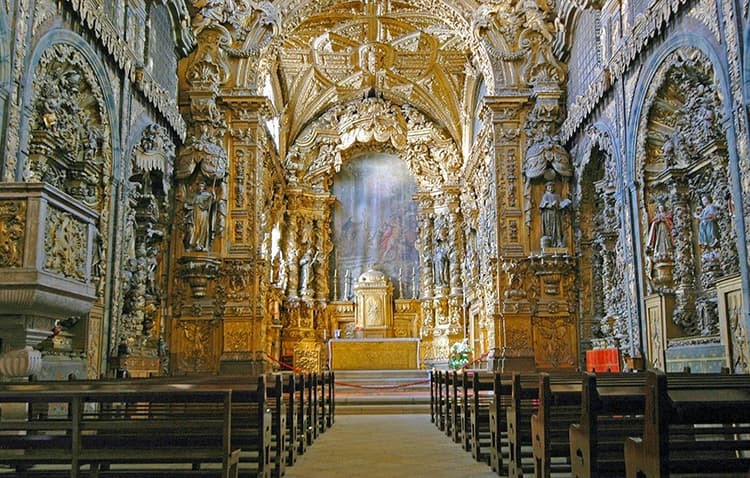 The Church of Saint Francis is one of the most antique and beautiful churches in Porto. The inside is gilded in gold. It is simply breathtaking. The entrance price costs €4. Address: Rua do Infante D. Henrique. 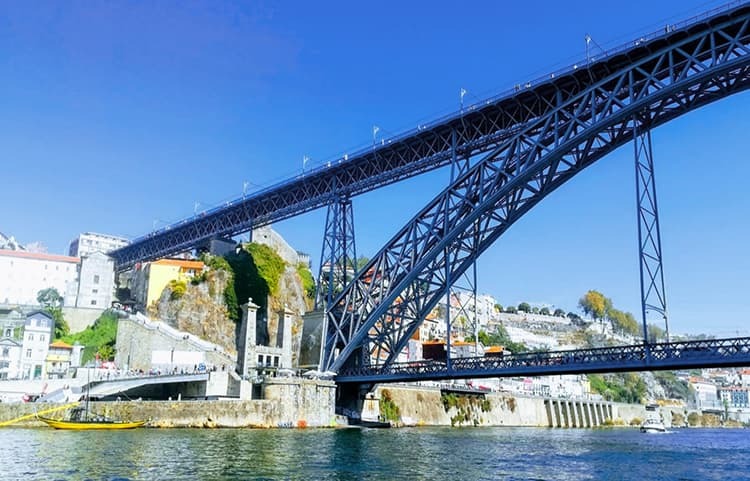 Designed by Gustave Eiffel, the Luís I Bridge is Porto’s welcome gift to all locals and visitors. If you can, cross the bridge from Porto to Gaia using the top level. You can enjoy a beautiful view for free. Address: You can’t miss it over the Douro River. The Porto Cathedral is the most important church in Porto where students used to gather to sing. You can also attend religious ceremonies there whenever they take place. 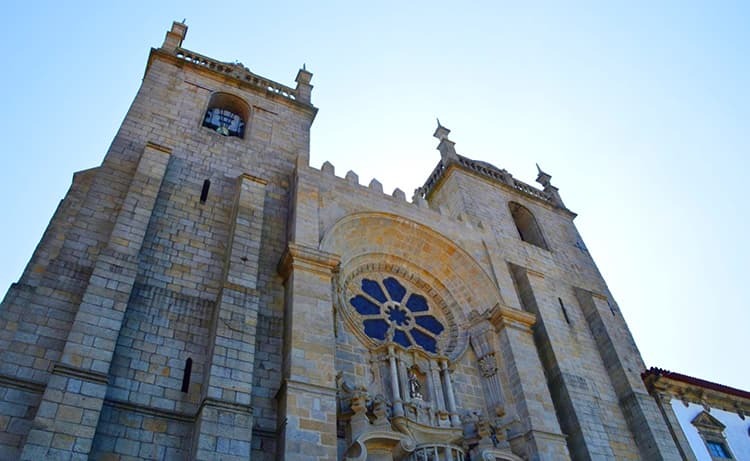 Another of the most historic monuments in Porto is the Church of Santa Clara which deserves your visit. The inside walls and ceiling is beautifully decorated. Address: Largo 1º de Dezembro. 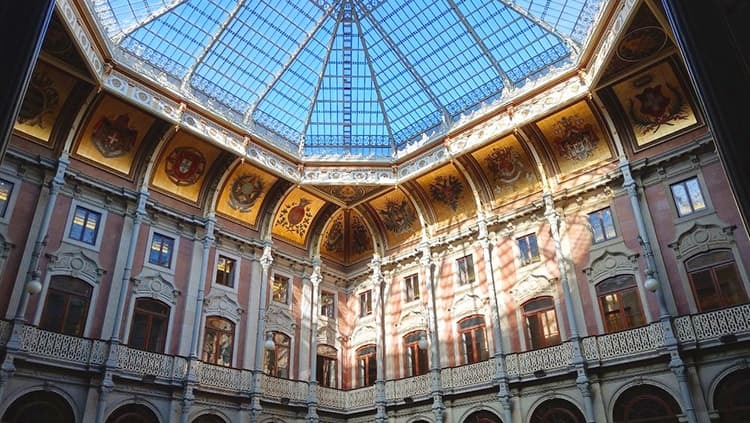 Bolsa Palace is the most distinguished building from this list because of its interior. It is so different and peculiar, it truly deserves a visit. 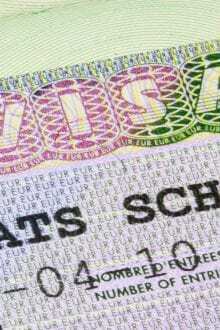 Tickets costs vary: €6.50 for students and seniors; €10 for adults and free for children up to 12 years of age. Address: Rua de Ferreira Borges. 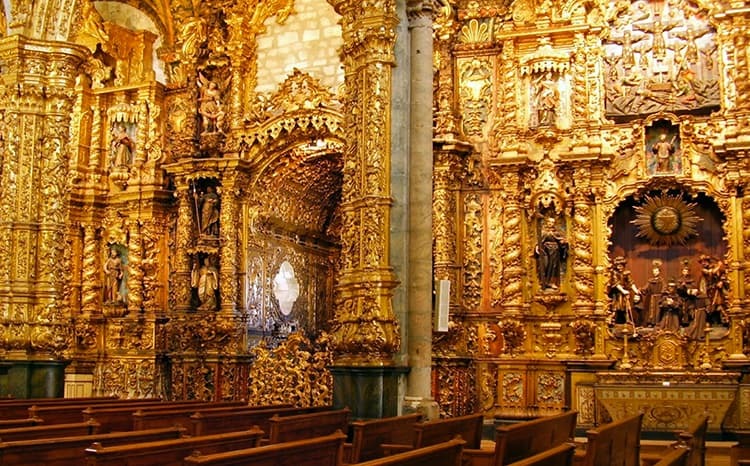 You can go to Chapel of Souls (or the Chapel of Santa Catarina) for free. 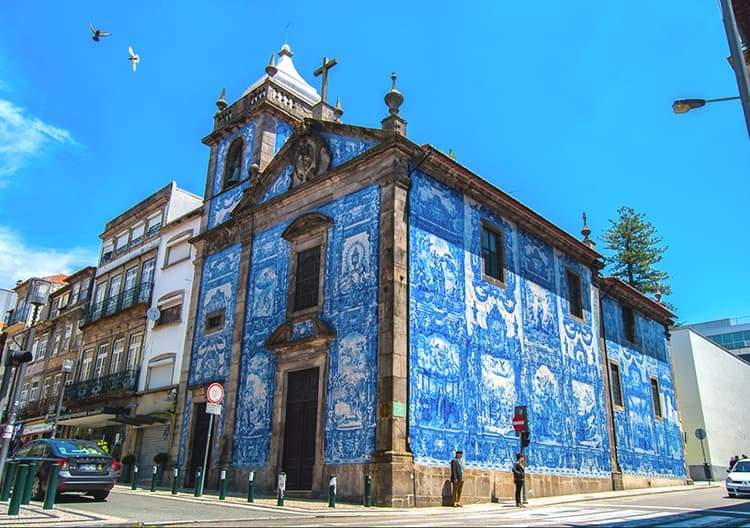 If you think of Portuguese tiles, you immediately think of Capela das Almas, a church which is all decorated with these beautiful tiles. Address: Rua de Santa Catarina 428. 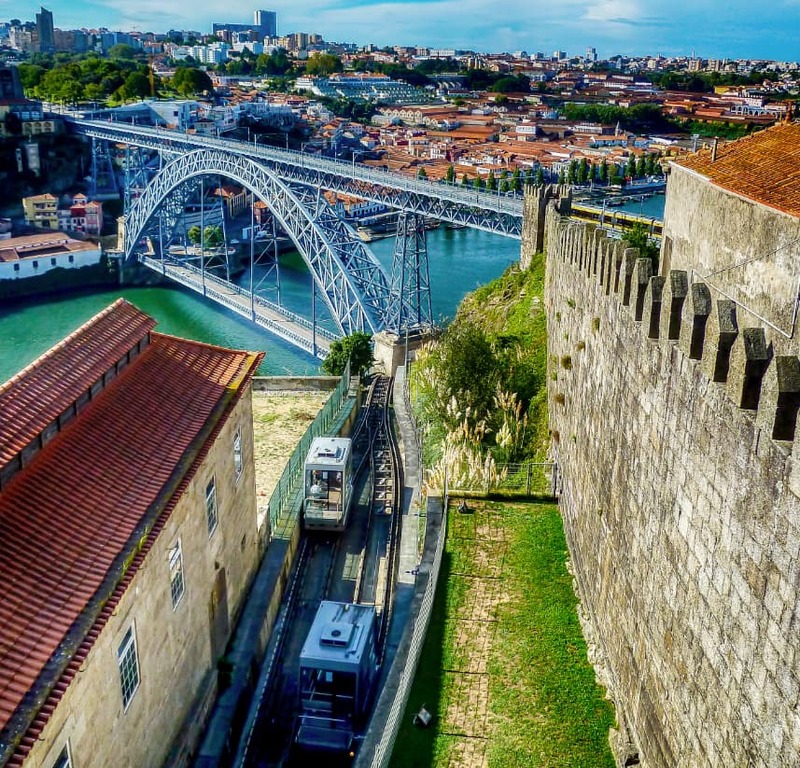 To reach the Walls of D. Fernando/Fernandina, you should hop on the Funicular dos Guindais so you can go to the top and walk on this ancient wall with views over the river. Address: Escadas do Caminho Novo 17. 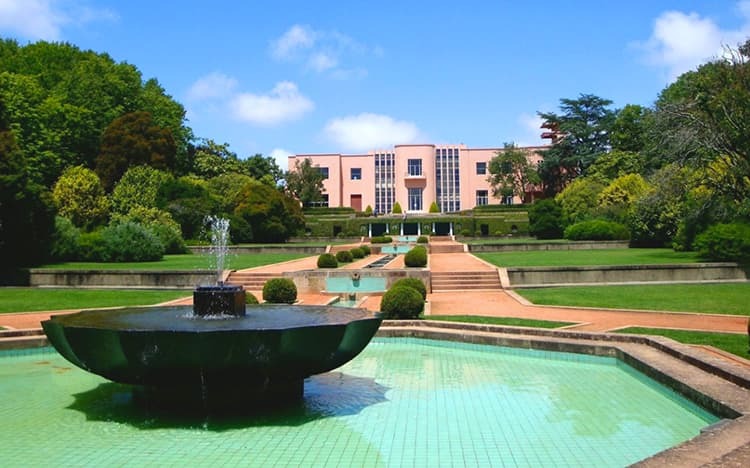 The Serralves Foundation is the most modern building on this list. The exhibitions vary, but now you can visit Joana Vasconcelos’ “I’m Your Mirror” until 24 June 2019. You can also visit the Museum, Villa and Park at any time. Tickets start at €12 for the Museum and the Park and are free for children up to 12 years old. For more details on tickets, visit the Serralves Foundation website here. Address: Rua Dom João de Castro 210. For more tips about Porto, see our article: Visit Porto. While you are seeing all the monuments in the city, you can probably fit a few of the following things into your day. These are the most traditionally Porto things I can think of that I think you really must try. Diplomata is one of the busiest places in downtown Porto and one of the best restaurants to eat pancakes. Address: Rua de José Falcão 32. If you are Harry Potter fan, you cannot miss one of the biggest inspirations for the series of movies. 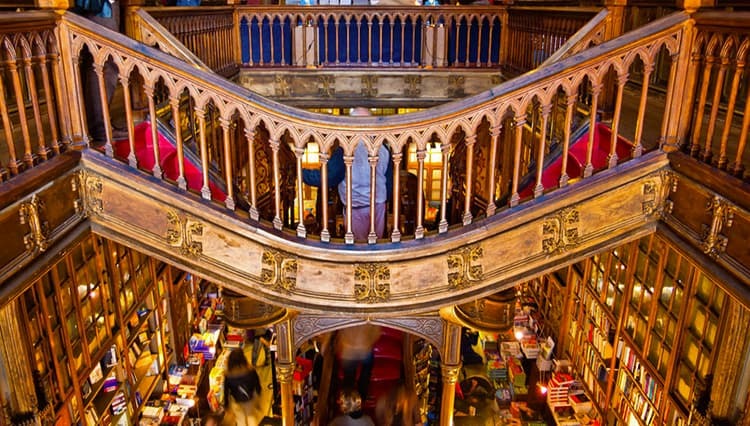 The truth is that J. K. Rowling lived in Porto for many years and it was in the Lello Bookstore that she found much of her inspiration. Are you going to Porto with your family? Then you might like to go on a great Harry Potter inspiration tour. Our friends at Get Your Guide will take you all on a walking tour to the sights and monuments of Porto that inspired the legendary Harry Potter chronicles. I think this tour is really cool and there is a special Hogwart’s surprise for the kids. To book this tour, click here. Cacau Equador is a 100% Portuguese brand that sells the most delicious bonbons, truffles and handmade chocolate bars in the city. What a “pastel de nata” is to Lisbon, a “francesinha” is to Porto. It is more than a sandwich, but an explosion of flavours that are worth experiencing especially at Café Santiago. Address: Rua Passos Manuel 226. In addition to being able to choose from several restaurants, Ribeira has a spectacular view of the Douro River and the Luis I bridge. It is one of the oldest areas of the city and worthy of your time. Cross the Luis I bridge to the Morro Gardens, very close to the river bank where you will have an amazing view of the city and the sunset! I’m sure you’ve heard of Port wine. Then a visit to the Sandeman Cellars is a worthwhile thing to do in Porto. Here you will be able to learn the history behind our famous Port wine. Tours start at €13. Address: Largo Miguel Bombarda 3. One of the most beautiful gardens in the city of Porto, the Crystal Palace has eight hectares of a open spaces that are well cared for and worth visiting. It’s very romantic. Address: Rua de Dom Manuel II. Leitaria da Quinta do Paço (website is in Portuguese) is one of the oldest pastry shops in Porto, where you can eat the best éclair you will ever have. Trust me! Address: Praça Guilherme Gomes Fernandes 47/51. Why not try the hop-on, hop-off bus tour in Porto? 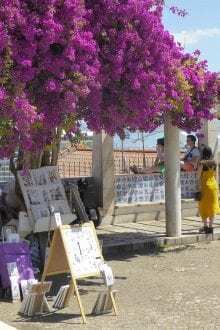 We talk about it here: Porto Hop-On, Hop-Off Tours. If you don’t want to go alone, I recommend taking a guided tour with the wonderful people at Get Your Guide. They have an incredible half-day tour that will take you through the old town and inside the Palácio da Bolsa, Sé Cathedral and Clérigos Tower (all entry prices included). This is a really great deal and they can explain the history of these monuments to you while you walk. To book this tour, click here. After all that walking around visiting the monuments in Porto, it’s time for lunch (or a snack). Let me recommend some places to go and food to try while you are here. For example, I think it’s very important that you try a “francesinha” when you come to Porto! Cervejaria Brasão (also has a vegetarian option). Conga – to eat very spicy “bifanas”. If you are looking to stay longer in Porto, there is accommodation for all tastes and budgets in the city. Here are some hotels and hostels you can try. You might also like our article on Hostels in Porto. What is the weather like in Porto? There are many rainy days, but it never snows in Porto. Generally, during the day, the temperatures are mild and warm, so you can visit the city without feeling too hot or too cold. However, even in the summer, the nights are usually cooler. The best time to visit the city is undoubtedly between spring and summer when the days are drier and sunnier. For more information about the weather in Porto during the year, have a look at: Weather in Porto. If you want to experience Porto’s culture, come to the city in June – more precisely on 23 and 24 June. This is when we celebrate the feast of St. John, the city’s most famous festival. St. John’s Day is on 24 June, but it is celebrated from the night of the 23rd to the dawn of the 24th. The streets are filled with people who hammer each other’s heads. Thankfully, they use plastic hammers. A strange tradition, I know. 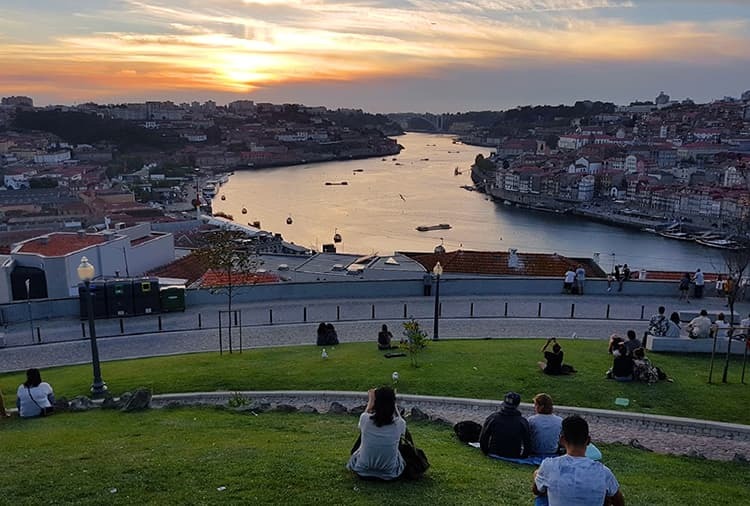 It is also during the summer months that the most famous and important music festivals take place in the city, namely the Marés Vivas (website is in Portuguese) which takes place in Vila Nova de Gaia, on the other side of the bridge and Primavera Sound which takes place in the city park. It’s better to experience this than to just see or read about! So come along! Before you go, you should definitely get yourself a Porto Card, the official city pass. 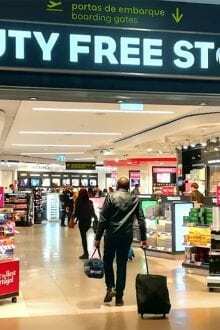 This will give you free access to all public transportation and free entry to more than 10 museums, attractions a a Port wine cellar. You will also get 50% discount at Palácio Da Bolsa, Torre Dos Clérigos, Museu Da Misericórdia. It sounds like an ad, I know, but I recommend this card to all my friends who come to Porto because it’s so cheap and handy. Get yours here for only €13. Do you have a favourite monument in Porto? Let us know in the comments below.